A hearing over a plan to construct a Wawa convenience store and gas station alongside a restaurant and retail space will resume in August. The township’s zoning board earlier this month carried the hearing to Aug. 8 after failing to complete testimony, said Michael Fowler, township planner. 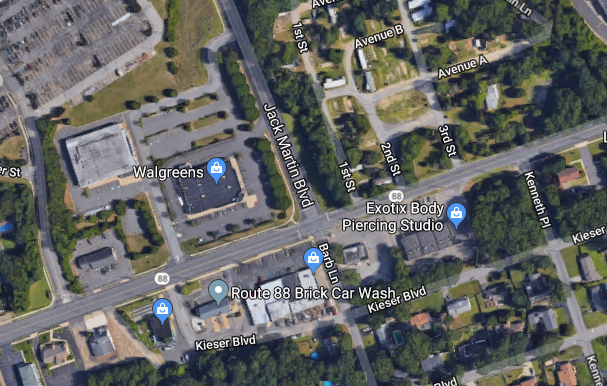 Developer Jack Morris is seeking approval to build the complex at the corner of Jack Martin Boulevard and Route 88 on the site of a former mobile home park. The plan was initially turned down in January, but Morris’ company applied with a modified application in an attempt to try again. JSM at Martin Boulevard, the holding company for the project, purchased the Laurelton Mobile Home Park for $3.85 million, with the intent of the developer to turn most of the trailer park into commercial space while leasing out space for some remaining mobile homes. Plans have called for a 5,000 square foot Wawa store with 16 fuel pumps and 135 parking spaces. Morris’ plan also called for the construction of a 4,535 square foot bank with drive-through lanes, a 7,182 square foot commercial building including a 3,000 square foot, 160 seat restaurant, and a 9,288 square foot daycare center.